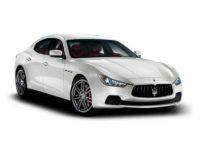 Get a Great Deal on a Dream Maserati at Jersey City Car Leasing! All throughout New Jersey state, it’s well known that there’s no better place from which to lease a brand new, stylish and powerful Maserati automobile than Jersey City Car Leasing! We have phenomenal deals every day on Maserati models ranging from the Ghibli Sedan, the Maserati Coupe to the GranTurismo Convertible, and encompassing every other current model of Maserati vehicle that’s being manufactured! The luxurious, powerful bit of Italian engineering you’ve been dreaming of can be yours for much lower monthly rates than any other agency can offer, when you contract your lease from Jersey City Car Leasing! Because we’re the pioneers of a new breed of leasing agency, dispensing with all the overhead that comes with the hidebound, old fashioned business model, we can pass those savings on to our valued customers, with prices that will make your jaw drop! 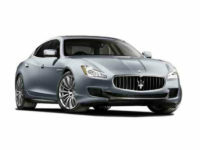 Our selection of vehicles is without peer, because we have a host of affiliated Maserati dealerships that allow us to lease their inventory as our own leasing fleet, meaning that we can offer all their cars on our website without having to purchase them outright — another benefit of the electronic leasing model that Jersey City Car Leasing is famous for! 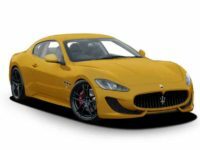 And of course, you can’t get more convenient than what we’ve got, because it’s all online — every step of the leasing process is done from the comfort of your computer chair, never having to go anywhere or interact with anyone until the moment we deliver your sparkling new Maserati straight to your door! Why would you even bother with any other agency? Call Jersey City Car Leasing right away at 201-649-5111, or start right now on our Maserati selection page! For those of you who are leasing veterans, or even neophytes who’ve heard stories, you may know that leasing an automobile — especially a sports car from the Maserati line — can be a huge hassle and in fact traditionally has been. But Jersey City Car Leasing has put an end to all of that inconvenience! When you lease from us, we let you do everything online and from the comfort of your home! There’s no visit to a car lot that’s far out of your way, no salespeople trying to pressure you into leasing the car that they want you to rather than the one you have your eye on. 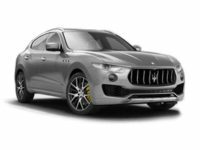 Whatever model of Maserati you’re looking for — be it the GranSport Convertible, Levante SUV or the GranTurismo Coupe — we make it easy and convenient for you to get just what you want! All you have to do to is pick out the car you want to lease, then fill out the initial application form. From there, we’ll get you fast and easy credit approval, negotiate the best financing terms possible, then get your confirmation on the details of your contract. Accept the terms of the lease and we’ll have the car delivered to your doorstep at no extra charge! The process couldn’t be simpler, and our customers all appreciate the convenience of online leasing from Jersey City Car Leasing! So don’t wait, give us a call today or get started by perusing our Maserati inventory page!